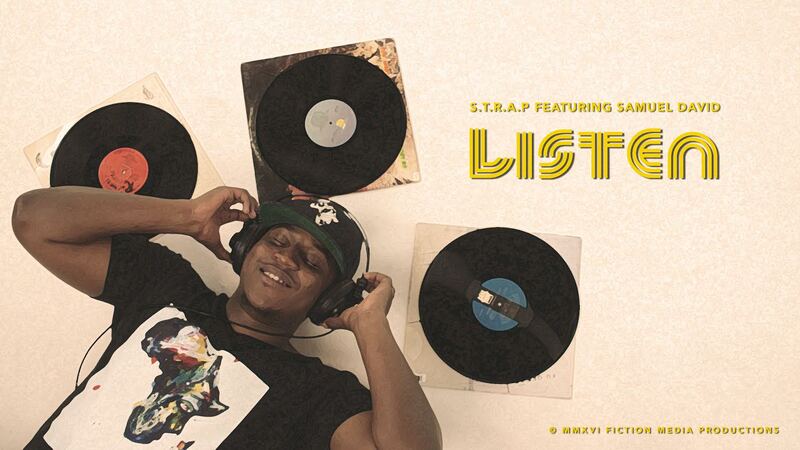 S.T.R.A.P (Sound That Roars African Pride) released his latest single "Listen" on July 1st featuring Samuel David (Wichita, Kansas). S.T.R.A.P is a Ugandan artist based out of Wichita, Kansas. "Listen"was produced by Jay X Jay (Detroit, MI) and Bigg Kid (London, England). The video was shot at Spektrum Muzik, a vinyl store in in the Wichita area. "Listen" is the 1st single off his upcoming project "Drinks and Convo." We will keep you posted, in the mean time check this dude out he's crushin' the underground game right now.